As a Catholic not-for-profit ministry of Mercy Partners, Mater Group brings together our collective expertise and resources across health, education and research to help you make better choices about your health, every day. Through our extensive network of hospitals, health centres and related businesses, a nationally accredited education provider, a world-class medical research institute and philanthropic support, we’re working together to improve the health of our community. The Sisters of Mercy built Mater on a foundation of collaboration and a shared vision as a Catholic ministry to meet unmet community need. This approach has shaped and inspired us for more than a century, but while that vision continues, how we deliver our services has changed. We have evolved to become one united group working together to improve the health of our community. With the shared goal of supporting your health and wellbeing we need a brand that builds on our history of care and positions us well now and into the future. 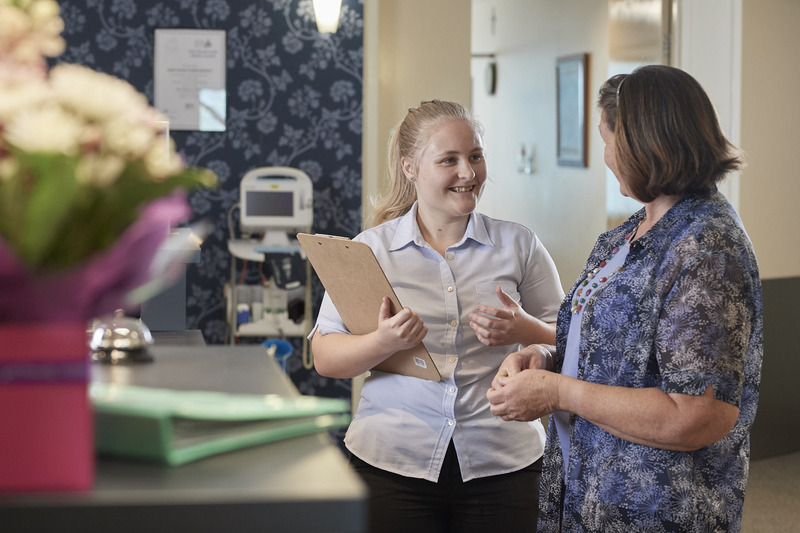 More than 7500 passionate people are employed across Mater and each and every one of them brings together a high level of skill, integrity and compassion to their role. While Mater People hold unique skills and attributes, they have one important thing in common—they have genuine care and compassion for others.